Story. Each person and couple have their own story. Likewise each photo and video should share their story. In this video you will be drawn into the story of Anne and Bryan. Join along for the next step in their journey to A&B. There were many elements that brought this story to life. During a pre-ceremony gift exchange, Anne provided a video for Bryan to watch and he was brought to tears as he watched video footage from the beginning parts of the journey. (These clips are seen as the black and white videos in this wedding film). Another element was a theme of "Journey to AB." Coupled with their love of faith, family, and friends, this wedding film is a story rich with meaning and depth. 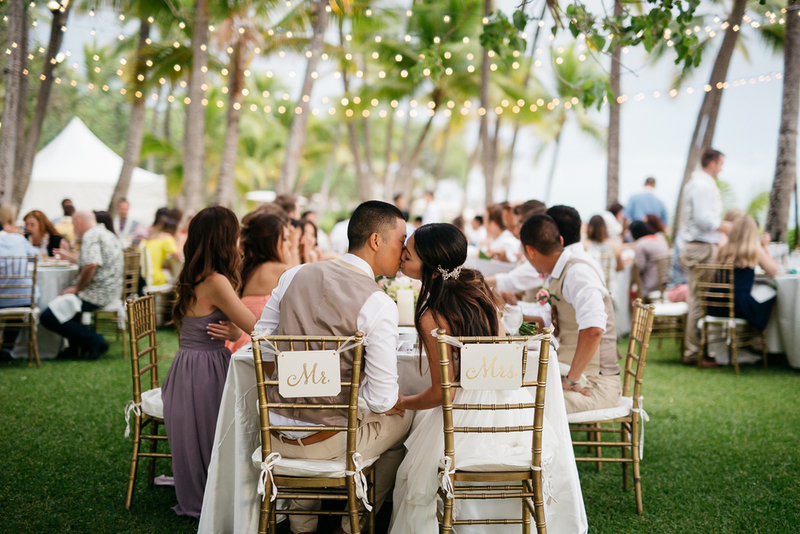 This wedding ceremony took place at St. Augustine Church by the Sea Parish in the heart of Waikiki. 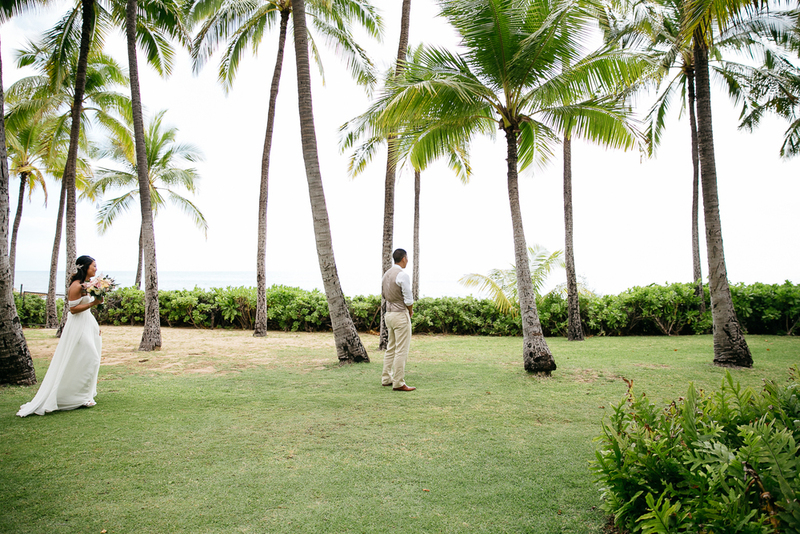 The wedding reception took place at Lanikuhonua on the leeward coast. 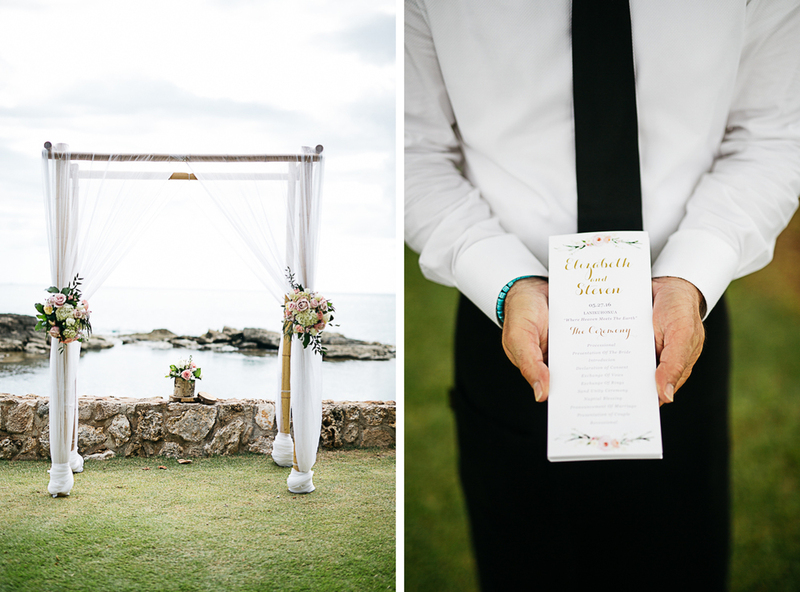 Liz and Steven had a destination wedding at one of the most beautiful venues on the island of Oahu. Lanikuhonua is a beautiful spot tucked secretly into Ko Olina on the westside. 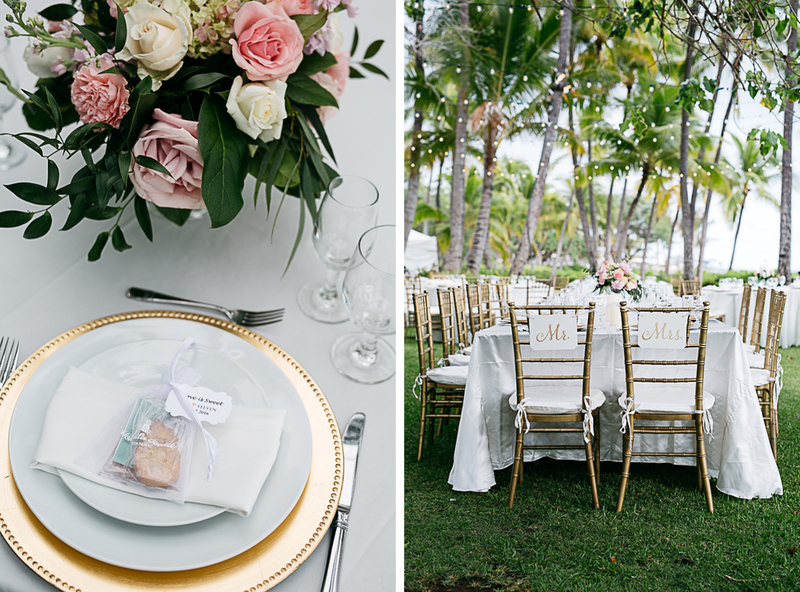 The bride and groom got ready at the gorgeous, historic Moana Surfrider Hotel in Waikiki and then made their way to Lanikuhonua. Liz and Steven decided to have a first look at Lanikuhonua, with their bridal party eagerly looking on. Their bridal party was by far one of the most entertaining and fun that we've been around. 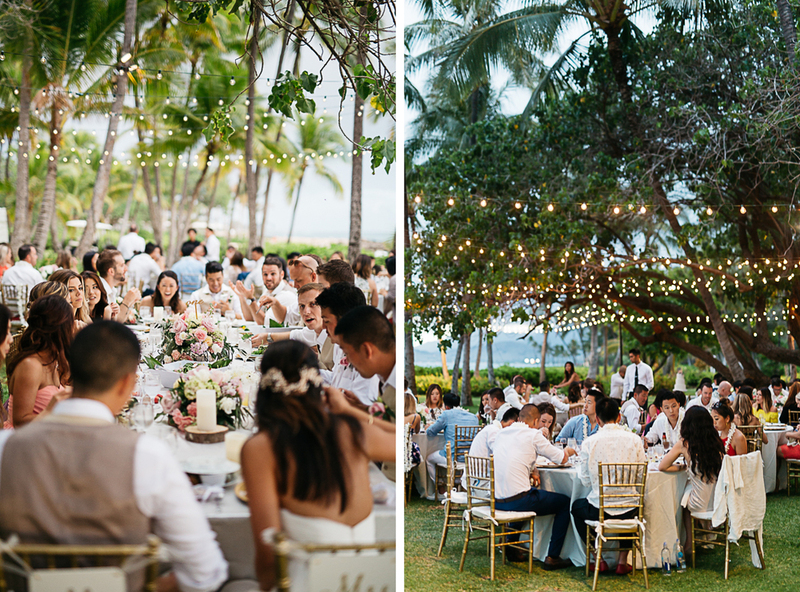 Golden string lights under the palms and beautiful table settings made this destination wedding truly special. Dark stormy skies had loomed all day, but right at sunset, the sun broke through and those ominous skies turned into beautiful cotton candy colors. We grabbed the bride and groom and snuck away for some quick photos. We had been in contact with Nick for awhile before he actually came out to Oahu on vacation. Nick planned a very adventurous and unique proposal. The morning of this engagement shoot, Nick and Lisa climbed Stairway to Heaven (an awesome hike here on Oahu which involves about 4000 stairs up the Ko'olau mountain range). They were up there early enough to catch the sunrise and that is when Nick decided to propose. She said 'yes' and later that evening, Nick arranged an engagement shoot with us at beautiful Dillingham Ranch on the North Shore.